Ondamarela values and practises reflection about its work, its vision of culture and the subjects around its work. It promotes and participates in thinking moments and debates about Art, Culture, Places, Education and Community. Two Thousand and Eighteen was the third year of the official activity of ondamarela. We have been with a lot of people, in many places, doing very different things. It was a super special year in which we worked hard, experimented a lot, met and learned a lot. It was intense, it was beautiful, it was important. With Mewġa Mużika, at Valletta 2018 – European Capital of Culture, we set up a community project that culminated in the 9 September concert with Tim Steiner directing and Joana, Serginho and Miguel Ramos helping in the final round . This project now takes beautiful steps of emancipation, with Norman, Ray Borg, John Bryant, Reece Delia and the other wonderful. A special thanks to Vasco Mendes for the talent, company and such a good fit. Tremor is love, we noticed from the first hour that we came across Luis Banrezes Kitas, Antonio Pedro Lopes and Kin Caxull. The invitation to work with the wonderful people of Asism Açores became the Som.Sim.Zero, a project with Samuel Martins Coelho in which we still managed to involve a group of generous musicians from S. Miguel, such as Tiago Dias, Filipe Ponte, Hugo Leite, Jorge Moniz, Vasco Salgueiro, Pedro Santos, Alfredo and Yara, Luis, Jorge and others that we can not identify here. Two Thousand and Eighteen was the year in which the Orchestra of Bida Airada, 5 years of existence, recorded an album and wrote a book. 23 Milhas – Ílhavo, the year in which the theme of Rádio Faneca was “the archive”, embarked on this adventure of producing and editing “The Greatest Hits” of our Orchestra, with a set of essays, reflections and joint questions about this work , how we see it, what it is for, what it leaves in people. It was an extremely important moment for us and we must thank all those who have been in this work: Serginho, Pedro Cardoso, Teresa, Manuel Dos Reis, Ivo and all those who have already passed by the Bida Airada Orchestra (and there are already so many!). But of course, words of thanks for the vision, opportunity and trust to Luis Sousa Ferreira, Vanessa and all the wonderful team of the 23 Milhas. The Heritage Days of the Regional Directorate of Culture was a very important project for us. Thank you António Ponte, Elvira Rebelo and Cidália Duarte for your trust and openness to our proposals. We also have to thank Opium, Joana and Carlos Martins for the invitation and Ana Pedrosa and Carolina Rufino for the accompaniment, interest, friendship and solidarity throughout this journey. We conceived and executed the Mediation program for the 8 events, in the 8 monuments of Northern Portugal. We created a visit-game for each of them (with OOF Design, Juliana Sá, Artur Carvalho) and the map designed for Arouca received an honorable mention in the Graphis awards. Thank you Cláudio, Marina, Pedro and Angelo for your talent and for the opportunity to see you work closely. We also organized guided tours of the communities in each of the places and a collaborative artistic performance that always brought together invited artists and local groups. These incredible artists were: António Serginho and Sara Yasmine in Arouca, Samuel Martins Coelho and Paulo Pimenta in Salzedas, Helena Oliveira and Paulo Meirinhos in Miranda do Douro, Lavoisier in Vila Real, Ricardo Baptista and Teresa Melo Campos in Vilar de Frades, António Miguel and Artur Carvalho in Outeiro, Patrícia Costa, Nuno Preto and Samuel Coelho in Mogadouro, Sara Yasmine and Artur Carvalho in Sambade. A special thanks to the hundreds of people from different communities, who have given incredible things to this project, leaving us always moved by the dedication and commitment they have made. A special hug to Mauro Rodrigues, companion, producer and friend who leveraged all this work. An extra kiss to Juliana Sá, for the creativity and good vibe. Thanks to Maria Nunes for the talent and love layer that you feel in these videos. We also played the fado in Two Thousand and Eighteen, in the project “Fado Lousada”, with André Nunes, Pedro Santos and Patrícia Costa. Thanks to the Municipality of Lousada, to Luís Ângelo Fernandes and the people of Lousada, who were so special. The Maria Nunes documentary will be out there, public, soon. In Two Thousand and Eighteen Access Culture interviewed us for the Report “Beyond the Physical: Barriers to Cultural Participation”; how much honor. With the friends of talkie-walkie and Raul Pereira we programmed the performative visits of Portas do Tempo, a program of CIM Alto Minho, in a joint organization of Comédias do Minho and Teatro do Noroeste – CDV. 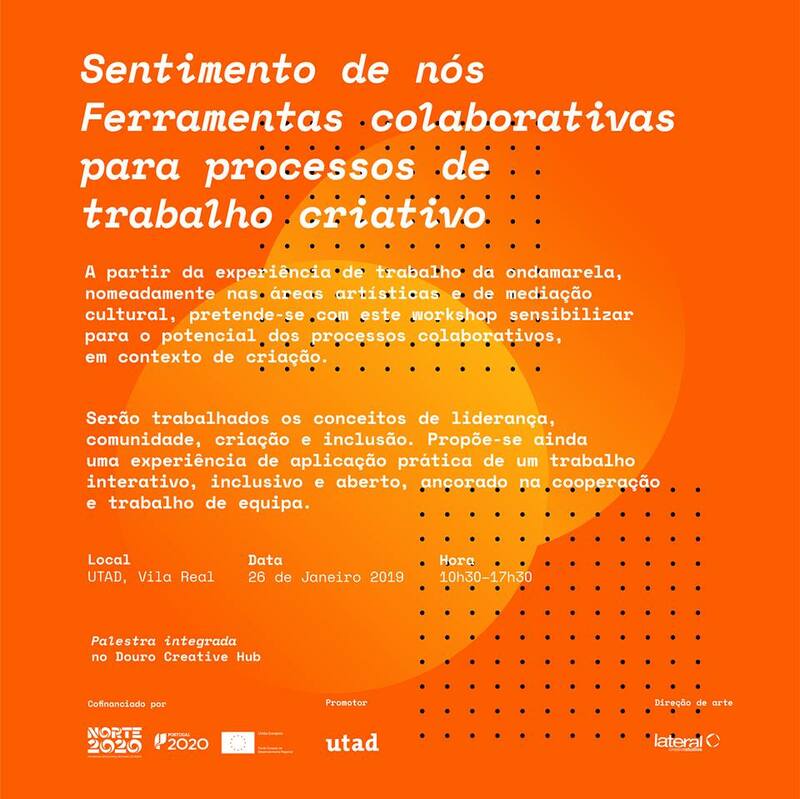 We must thank all participating communities and artists who have accepted the challenge of participating in a new concept: Rebecca Moradalizadeh and Samuel Coelho in Monção, Manuela Ferreira in Ponte de Lima, Daniel Moreira and Rita Castro Neves in Ponte da Barca, Joana Araújo and Ricardo Baptista in Valença, João Gigante and Ricardo Baptista in Melgaço, Tânia Dinis and Juliana Sá in Viana do Castelo, Helena Oliveira and Miguel Ramos in Arcos de Valdevez. Fête de la musique Echternach asbl and the Konterbont asbl once again invited us to a lightning work with communities in the area, which we did with Samuel. We conceived, with OOF Design, the “Memory Assistant” for Casa da Memória de Guimarães, a mediation device to be presented in 2019. For the HISTORICAL VILLAGES OF PORTUGAL, we have developed the extensive and demanding survey of the identity gastronomy of each of the 12 villages of this network. From the invitation of Lovers & Lollypops and the Municipality of Mondim de Basto, we participated in the 1st edition of the magnificent Salto da Graça, with a performance with Mondim musicians, on the second day of the Festival. Special thanks to Márcio Laranjeira for his support and confidence. This year we also started a project for the Festival der Regionen in Austria, which will culminate next spring. We visited the magnificent northern region of the country so that, with Airan Berg and Tim Steiner, we would meet with all the potential participants to design the best way to approach the challenge, which will focus on the concepts of “Social Warmth”. In December, Vozzzzzzzz!, a project developed with the Academia de Música de Vilar do Paraíso for the Foco Famílias program of the Teatro Municipal do Porto – Rivoli . Campo Alegre. It was very cool! And still with Tim Steiner we’re in the final preparations for production week of “Nós 19”, a large-scale musical project developed for the Coimbra Região de Cultura program of CIM Região de Coimbra. The concert is on January 12 at the Convento São Francisco big hall. Two Thousand and Eighteen was also the year that Sara Fernandes came to work with us. That means her name could be identified in all these things: thanks Sara! And lastly … we updated this site, with the help of Cláudio Rodrigues, so if you feel like it, give one or more sneak peeks. 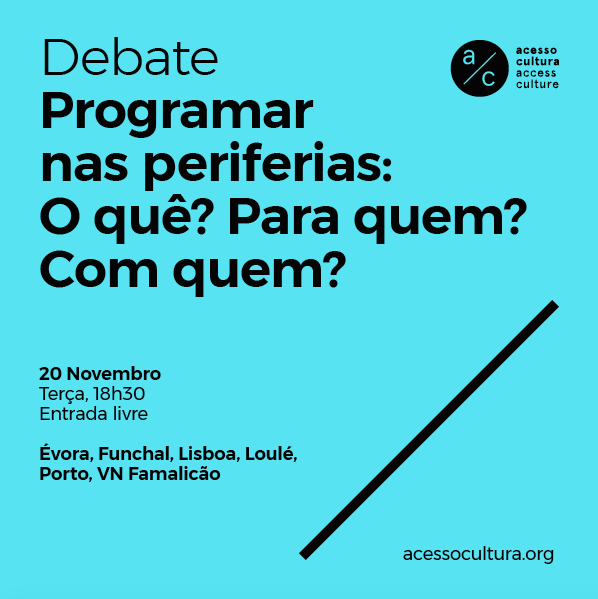 Ondamarela was interviewed for the publication “Beyond the Physical: Barriers to Cultural Participation – A tour around Portugal” by Access Culture association. We were yesterday at the “Access Culture Week” at Calouste Gulbenkian Foundation, at the presentation of this work. Access Culture does very interesting and useful work and it was a huge honor to be invited to think and talk about our daily work. 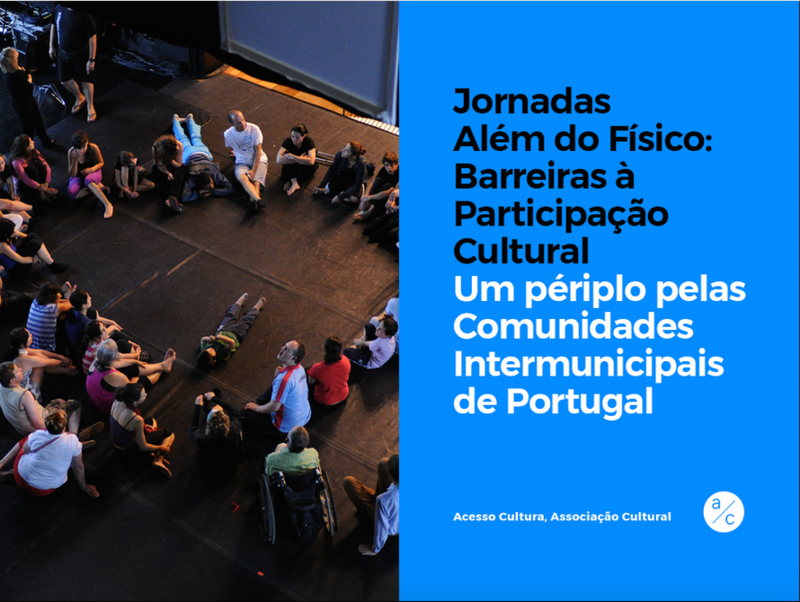 The final report, that, more than our interview, brings a broader understanding about the inclusive practices of the portuguese cultural area, can be accessed here. Ondamarela was one of the participants of the last edition of Bolsa de Ideias, in Porto, dedicated to Education.